If you're studying in Poly, College, Universities or Conservatories, there might be times where you just don't know what to wear. You look at your seniors and they look so effortlessly fashionable. They are rocking the casual laid-back fashion. Here are some outfit ideas that could inspire you. Rock the denim on denim trend effortlessly with this outfit. Pair it with a classy black-gold watch and a quirky bag. You're set to go! Don on a fresh new look with this laid-back sports-inspired outfit. 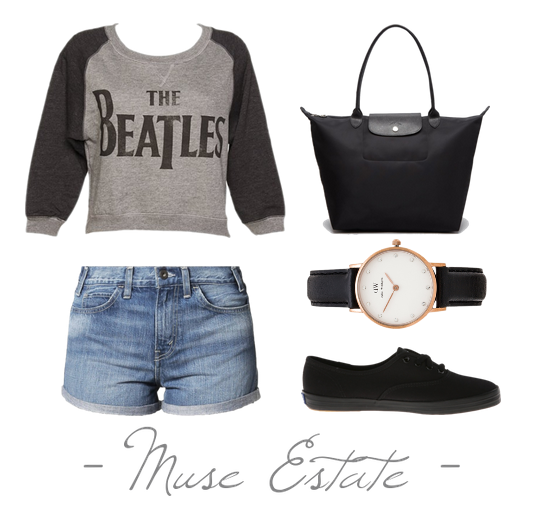 A varsity boxy tee, duffle bag and jeans. Throw on that pair of Rayban aviators, and get reception like "Wow, is she a celebrity?". You're welcome. This is for when you're super lazy and want to go full-on laid back. Not to worry, band tees are there for you. It is possible to be super laid back but still make a statement. Who knows? It could be the centre of attention and you get to know more fans of your favourite band! Killing two birds with one stone. Not sure what to pair with what? Easy way out would be to put on a dress. Dress makes you look instantly more feminine, whichever your style! 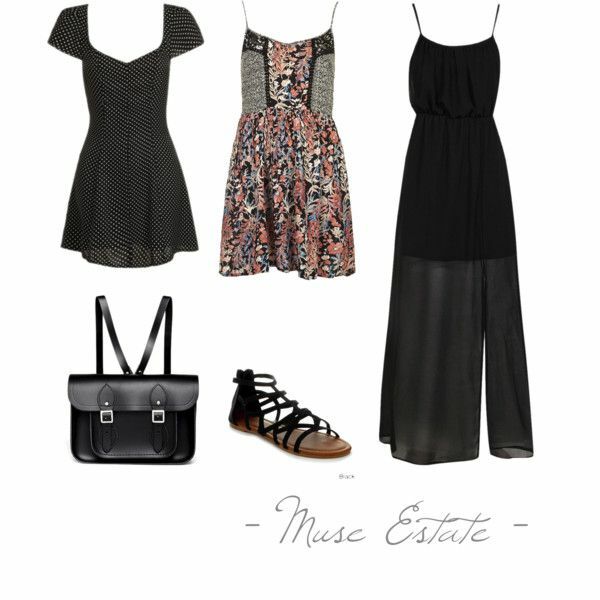 Mini, midi or maxi; prints or basic, it's really up to you! You will instantly look super done up without much effort.